TJ Weeks is the definition of a silent assassin. At the beginning of the fall, I may have even mistaken that silence for weakness. That was until I saw how his teammates responded to his success. Not only did they celebrate it but they urged him to fire away whenever he had an open look. The more consistently those open looks came, the more Weeks fired away. The more he scored, the more Weeks played. The more Weeks played, the more Woodstock won. By the end of the season, the 6’5” wing was racking up 20-point nights twice a week and D1 programs began taking notice. But at the end of the day, there was only one program that felt like home all along. Similar to the way Weeks carved out his role at Woodstock over the course of the season, heading to UMass felt more like the natural progression in his own journey than a path he was forced to follow. “He’ll be able to impact the game on both ends of the floor in the A-10,” Bergeron said proudly. 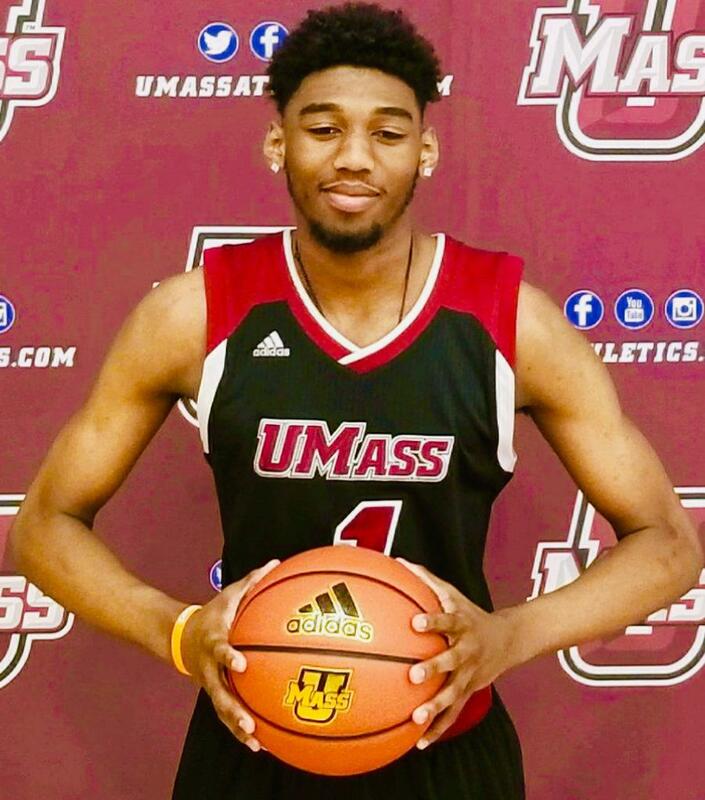 Weeks is the 9th member of Woodstock's 2019 Class to commit to a D1 program and he joins teammate Preston Santos, Putnam Science's John Buggs III and 6'10" big man Jalen Thomas in the 2019 UMass Recruit Class. As Weeks’ body continues to mature, it’s easy to envision the 6’5” wing developing a dangerous length/strength combo that could wreak havoc in the A-10. The lefty also has more current bounce than he’s given credit for, something that will come in handy when opposing teams sell-out to run him off the arch. But perhaps the most valuable asset in Weeks’ arsenal: his even-keeled temperament. A fiery competitor on the inside, Weeks is an unselfish, low-maintenance teammate both on and off the court. His easy demeanor will help as he repeatedly fields questions about following in his father’s footsteps over the next few months. Weeks will handle it with a sly smile, knowing that the first 3 he knocks down next season will be one more than his father made over the course of 4 years. Same name but much different strokes. This Weeks is simply different, folks. It seemed like Nate Stokes never really got into a comfort zone this season at Putnam Science. Whether it was missing the first month of open gyms due to a bad ankle sprain in the fall or catching the flu mid-season just as he started to find his mojo, it just felt like “one of those years” for the 6’9” dagger-man from Washington. But there’s a light at the end of the ’18-’19 tunnel and Jared Grasso is holding the flashlight. After committing to Grasso’s Bryant program last week, Stokes will have an opportunity to play a pivotal role in the program’s resurgence and do so right alongside PSA teammate Charles Pride for the next four seasons. 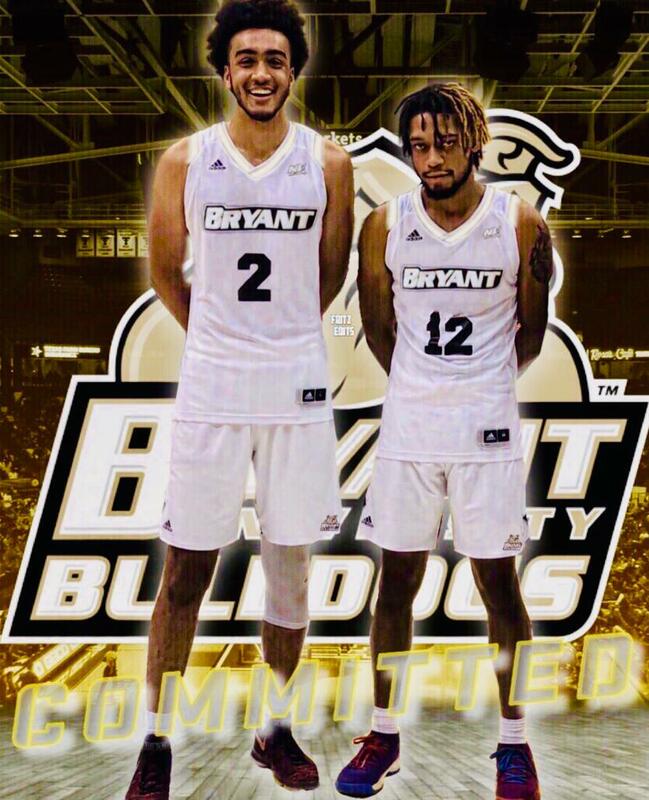 As a true 6’9” sniper who is comfortable and deadly from 3-4 feet beyond the arch, Stokes gives Bryant a size/skillset package that is extremely rare in the Northeast Conference. Extended stretches of 100% health, along a college weight room, should allow Stokes’ game to blossom and give him the confidence to expand his skillset far beyond what we’ve seen from him this season. The faith that he already has in Grasso won’t hurt either. Damn, Nate....You got me fired up for Bryant Basketball in ’19-’20 already! 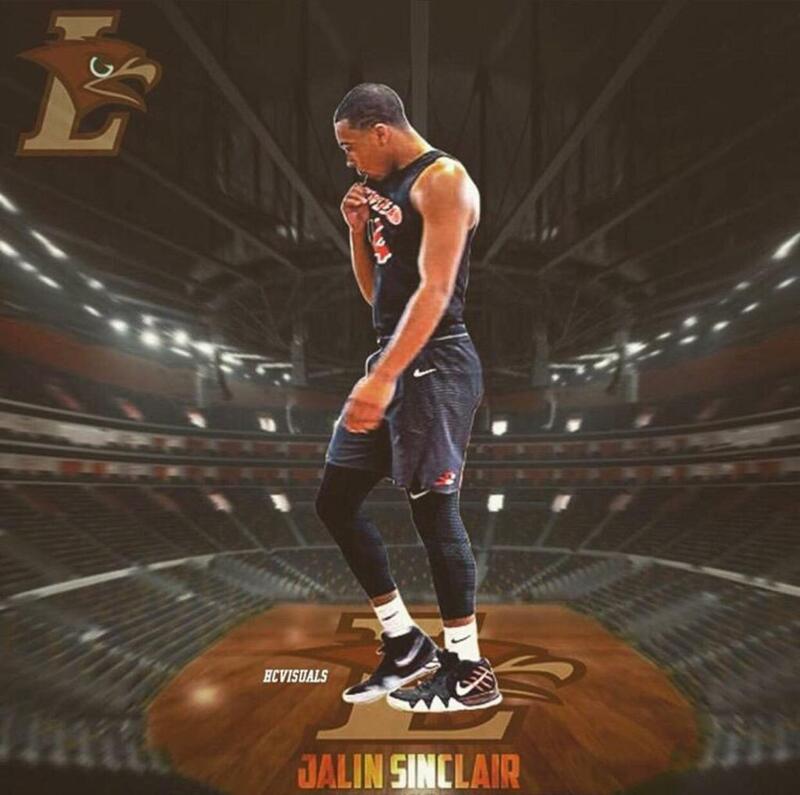 Jalin Sinclair made his college decision prior to the spring, as Lehigh’s potent combo of high-level academics and fertile hoops production was too much for the no-nonsense floor general to turn down. The 6’ point guard was a NEPSAC-A all-conference selection this winter while leading Suffield to a 10-4 record in league play…Tre Mitchell remains the top uncommitted prospect in New England and is arguably the best uncommitted big man in the national Class of 2019. Mitchell is down to UMass, Indiana, Syracuse, Virginia Tech, Providence and Georgia Tech…Cushing’s Daman Tate is down to his final 3 as Gardner-Webb, Boston University and Richmond remain in the running for his services. Lehigh lands a BULLDOG with the commitment of @PSACardinals/@Suffield_Hoops point guard Jalin Sinclair (@WME_Sinclair), the 1st of Munch's 2020 crew to come off the board.